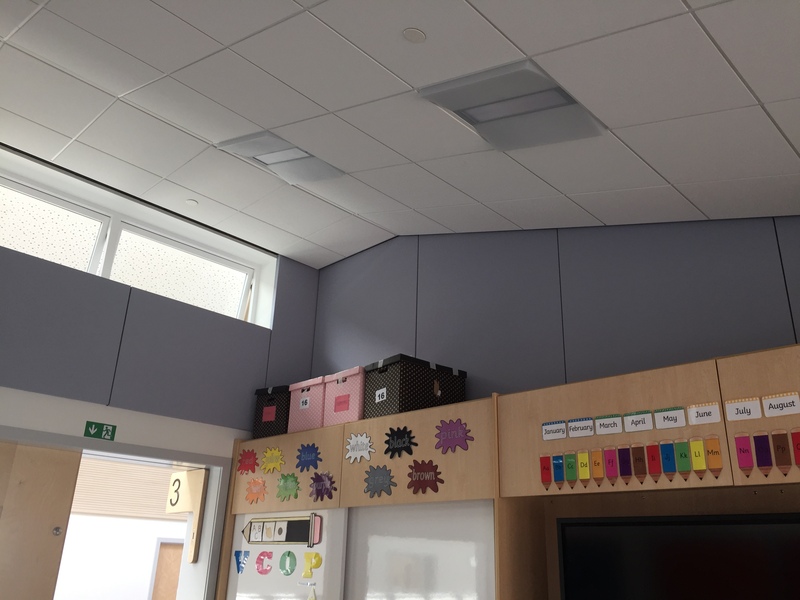 As part of the build in this new primary school in East Ayrshire, Husht were contracted to provide the acoustic solution installation for a number of areas within the school – including a large circulation space and several classrooms. 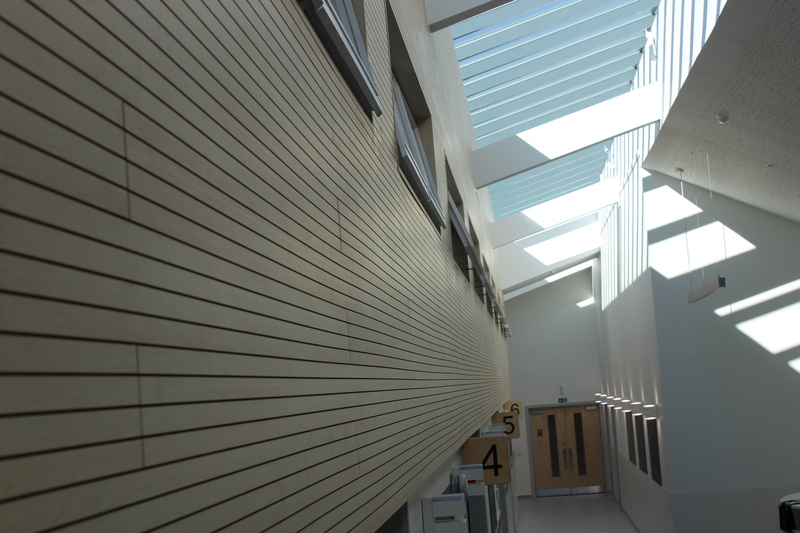 The large corridor is to be a busy area of movement – students will congregate and move between the entrance, classrooms and to other areas of the school. 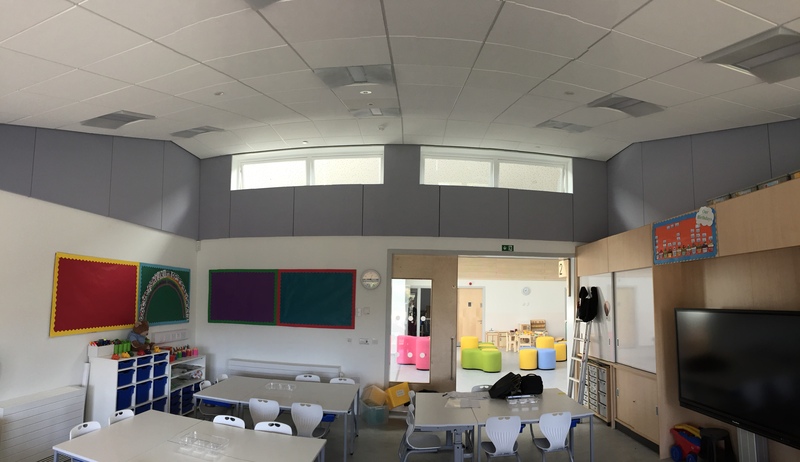 As the space is to be such a busy area, getting the acoustics right was vital. 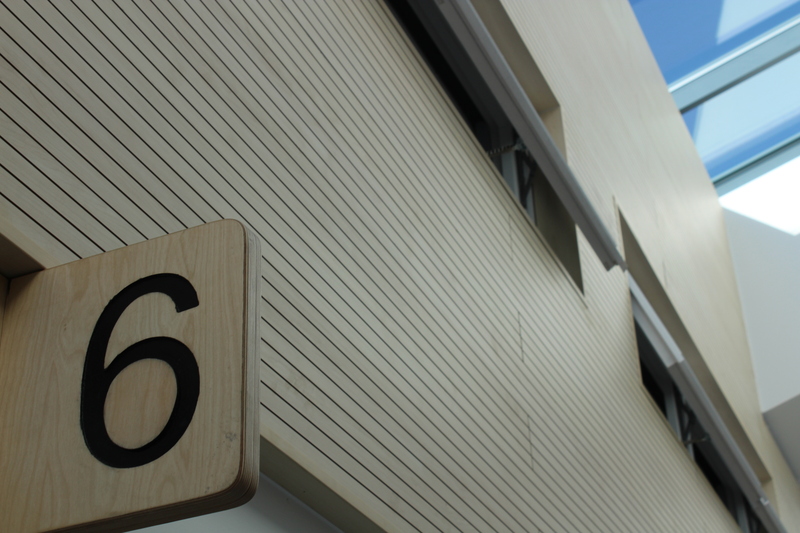 By installing a striking timber plank system with small perforations in between each slat giving an absorption Class C in the circulation space and then using Class A acoustic fabric panels in the classrooms, the schools look and feel was transformed. 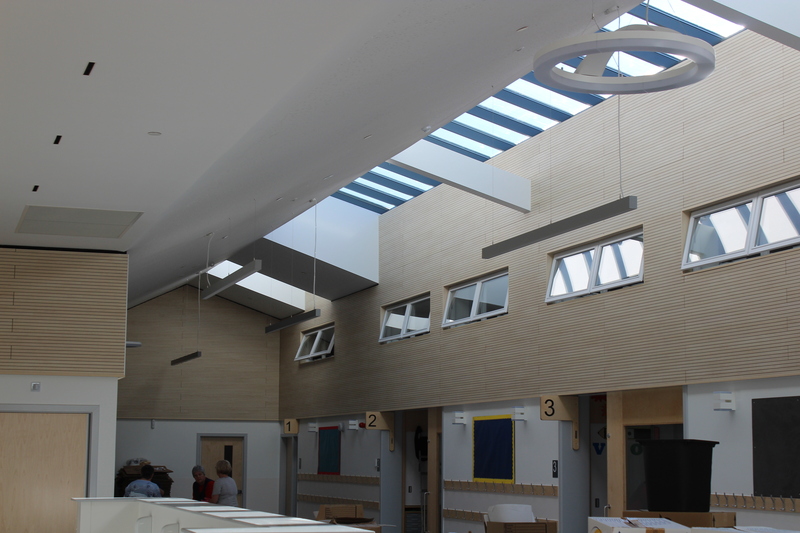 Any risk of side wall reflection or flutter echo was dealt with by using both the timber and fabric systems specified as Accordial and Soundhush to create a school that is easier for the children to communicate and an environment that is calm and inspirational to educate and be educated.